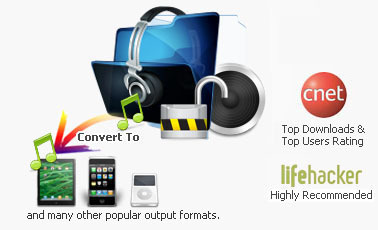 iTunes M4P Software, convert iTunes M4P to MP3, M4A to MP3, WMA to MP3, and more; Provides best iTunes Audio Converter, iTunes M4P to MP3 Converter. NoteBurner Audio Converter introduces a smart way of converting a wide range of audio file formats to MP3, WMA, AAC, OGG, FLAC and WAV. Utilizing virtual burning technology, NoteBurner is able to convert M4P to MP3, convert iTunes WMA to MP3, and convert WMA to WAV. Noteburner Audio Converter easily converts iTunes music or audio files such as M4P, M4B, M4A files to plain MP3, WMA or WAV formats ready for use on any computers or mobile music devices such as iPod, PSP, Zune, iPhone, MP3 player, CD player, cellular phone and any latest smartphones such as Motorola Atrix 4G, HTC smartphones - without any restrictions. 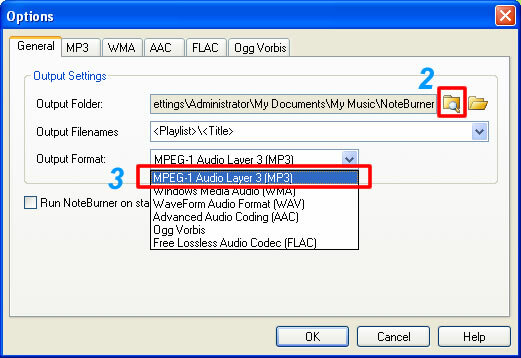 Noteburner can also convert unprotected music to MP3, WMA or WAV. Noteburner Audio Converter free you to convert audio files from many different file formats into mp3, wav or wma files such as M4P to MP3, M4P to WAV, M4B to MP3, M4A to MP3, M4B to WAV, M4A to WAV, wav to mp3, mp3 to wav, wma to mp3, unprotected files to any formats. You can use iTunes to convert M4P to MP3, M4B to MP3 and audiobook to MP3, use Windows Media Player to convert protected WMA to MP3, use RealPlayer to convert protected RA to MP3 and use SonicStage to convert protected OMA to MP3. Actually, NoteBurner Audio Converter supports MP3, M4A, FLAC, OGG and WAVE output audio formats. Please kindly note: The current version (2.35) of Noteburner audio converter is only compatible with WMP 10 and lower on a 64 bit. While if you are running a 32 bit OS, you can use Notecable audio converter to convert WMA files with WMP 11/12. With Noteburner Audio Converter, you can easily convert all kinds of audio files for playback on iPod, Zune, PSP, Archos, Sony Walkman, Creative Zen, Sandisk sansa, iAudio & Cowon, and any other MP3/MP4 music players, as well as for cellphones such as Sony Erricssion, Nokia Nseries, BlackBerry, Samsung, LG, Motorola, and many other portable media players. Noteburner Audio Converter is automated. The only thing you need to do is just adding M4P tracks to a playlist and set default CD burner to NoteBurner's virtual CD-RW and then burn. Virtual CD can emulate your computer RAM and hard disk as erasable CD-RW drive (Virtual CD-RW), the converting speed is at least 10 times faster than any other programs which use recording as one of the core converting tricks. Its ability to convert protected music files into regular MP3 files makes it a perfect solution for people who purchase their music online but have compatibility issues with their MP3 player. Media player such as iTunes, Windows Media Player, RealPlayer, etc. OMA, iTunes M4P, M4A, M4B, WMA, WAV, MP3; MP3, AAC, WMA, etc. MP3, WMA, WAV, AAC, OGG, FLAC, etc. This document applies to iTunes 10 with the latest version of NoteBunrer and also iTunes 8 & 9, please pay attention to the different step of iTunes 10 and iTunes 8 & 9. And here bellow is the help of NoteBurner Audio Converter working with Apple iTunes. 1. On the main window of NoteBurner, click the Settings button, a dialogue box will pop-out. 2. Browse to choose a file folder for storing the converted songs. 3. Choose MP3 as output format. 4. 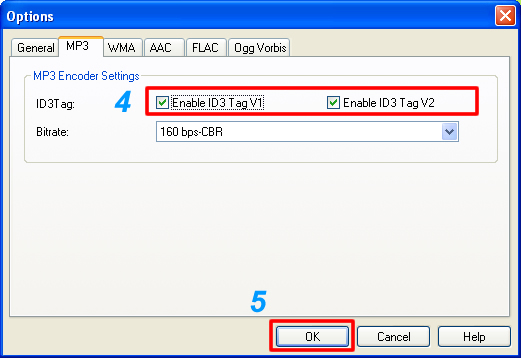 Go to MP3 tab and check the ID3Tag options. You can burn the already existing iTunes playlist, or create a new playlist, and then add selected songs to the playlist for converting to MP3. 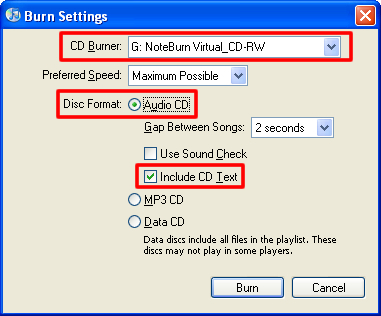 Since NoteBurner utilizes virtual CD burning mechanism to convert audio files, it's suggested that one playlist shall contain no more than 74 minutes music, that's approximately 650 MB files, the standard capacity of Compact Disc. If the playlist contains more than 74 minutes, the converted audio tracks might be divided into two or more virtual discs, depending on the number of the songs you add to the playlist. 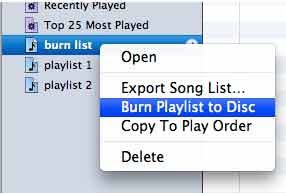 In iTunes 10, please right click the playlist that you want to burn, then please select the item "Burn Playlist to Disc"
The converted playlist and songs will show up on the main window of NoteBurner.